As you know kiddos love videos and incorporating some short, fun clips into your guidance lessons can be a great visual aid when teaching a key character word or lesson. 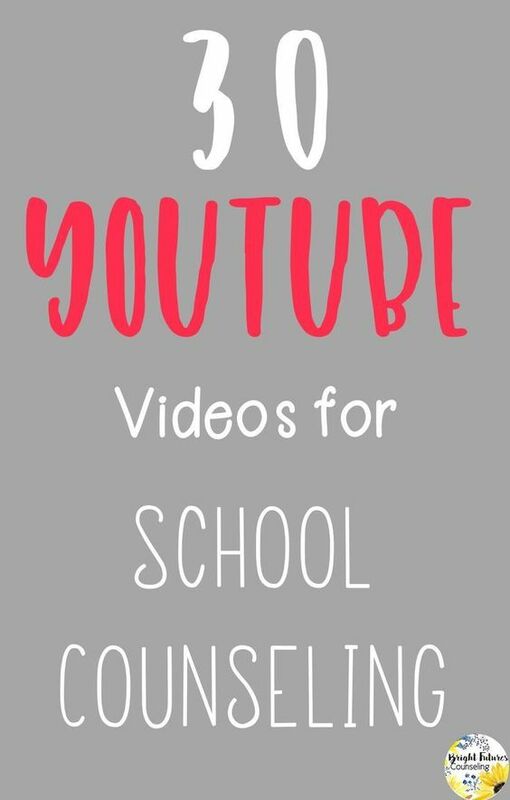 When I am planning for a lesson I have an idea in my head of a video I want to show but I end up wasting precious time on Youtube and Pinterest looking for one to fit my needs. I've compiled a list with links to some videos I've used in guidance lessons and with groups. These are short and funny and are intended to be supplemental material for your lesson or to serve as a conversation starter. These three videos are from The Olive Branch. Each one shows how two characters compromise when they have a conflict. These clips do not have any dialogue and are perfect for starting a discussion. This video is a funny rap about Kelso's Choices. It is to the beat of "Ice Ice Baby." It's a great way for kiddos to memorize the choices. Kid President is so fun! This one is a pep talk for teachers and students. Perfect for back to school or after winter break. This video is great for an upper elementary girls self-esteem group. It focuses on body image. Dove has a lot of great resources for this topic. These 5 videos are designed to be played in order. They tell the story of Mojo, a monster who wants to give up because he doesn't think he is smart. It is created by Class Dojo and is super cute. Class Dojo also has other video series inlcuding mindfulness and empathy. Sesame Street also has a ton of great videos for explaining character traits. This one is a fun Bruno Mars' song about not giving up. This video is a good way to introduce fixed mindset for older elementary students. It shows a student doubting herself when she knows the answer. This video clip teaches students to be upstanders instead of bystanders. It is from The NED Show which has lots of character education resources as well. These two videos are for upper elementary or middle school. They are more extreme but have a powerful message. This video is about a bird who tries to climb up a mountain. Even though he has setbacks he stays determined. Here is another awesome one from Sesame Street! This one is great for Kindergarten and other little ones. Warning: It will get stuck in your head for days! I think this one is actually part of an insurance commercial, but it is so cute! There are three funny scenarios where animals have to work together. The videos do not have dialogue so they are good as a discussion starter. This video is also from The NED Show and shows real kids talking about their ingredients for friendship soup. It is perfect for a friendship group discussing qualities of a good friend. You could then make friendship soup with your group! Or my students made friendship pizza instead. This Pixar short film doesn't have any dialogue and is perfect for starting a discussion about kindness. It can also be used to discuss friendship, bullying, and social skills. Here is another great one from Kid President! These 20 things are funny yet meaningful that both adults and kids can relate to. This video features real kids sharing their thoughts on empathy. It is perfect for upper elementary students. This one is from Sesame Street too. It is a music video teaching kids to belly breathe featuring Common and Colbie Cailliat. This video has a cute song for younger elementary students (Pre K and Kindergarten.) It is great for feelings recognition. Movie clips from Disney's Inside Out are great for discussing feelings. I especially like this one for observing how Riley's emotions change throughout the day. I have also used it to discuss The Zones of Regulation with students. This clip is great to discuss grief. Riley feels sad when she thinks of an old memory. Students can then discuss memories of a lost loved one or pet. This one is from Sesame Street too! Cookie Monster has to practice self-control for a game show. This one is so fun! My students love dancing around to it. They have to think fast and listen carefully to directions. My students love the Minions! This funny video shows different clips of Minions breaking class rules. I play it during the first session of a counseling group when we are establishing group rules. There are also seasonal variations of the song! Go Noodle is free to sign up for and is a fabulous resource to get kids up and moving. Teachers use this resource a lot for indoor PE and stretch breaks but for school counseling I especially love the mindfulness videos. Check out this video downloader so you don't have pesky ads (which are often inappropriate for an elementary audience) at the front of your video clip. Be sure not to click the green install button or the blue arrow. These could potentially download a program to your computer. If you click the green download video you are only downloading the mp4 for the video. You can check out the tutorial I created below. There you have it! 30 videos to get you started down the Youtube rabbit hole. Enjoy! 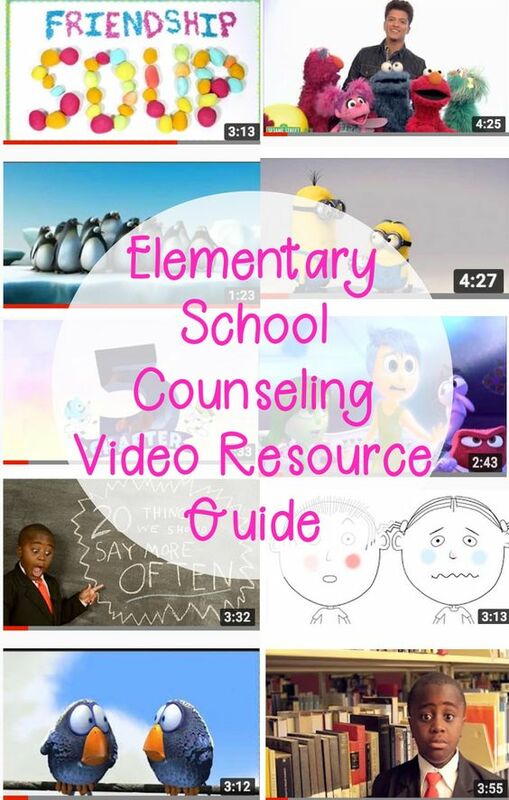 Please comment and share some of your favorite videos for school counseling. I'd love to see them.